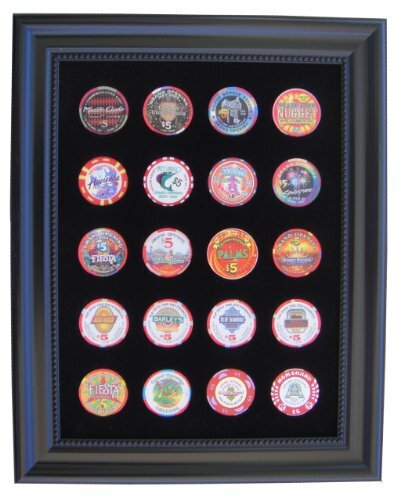 This standard 9x12 frame is made of an attractive black bead polystyrene frame that includes our custom-made 9x12 black insert that holds 20 of your favorite casino chips (not included). No tools are required to assemble our frames because they arrive "ready-to-hang". The display can easily be changed as much as you like thanks to our exclusive design that employs spring clips on the back of the frame.